Historical Biographies, Nova Scotia: Captain Alexander Murray (1715-1762). Alexander Murray was part of the British landed gentry. He was born on his family estate at Cringletie in Peeblesshire, Scotland. He spent his boyhood there, but for most all of his adult life he was overseas in the service of his king. As a member of the upper class, he had no difficulty in joining the officer class and advancing himself in ever higher positions of command in the British army. The most important years of his career were spent in Nova Scotia. In command of the grenadiers, Murray was to take part in the Siege of Louisbourg, 1758. He stayed on at Louisbourg until the following spring when he accompanied Wolfe up the St. Lawrence. After the taking of Quebec in 1759, Murray returned back down river and wintered over at Louisbourg. In 1760 he joined the 55th at Staten Island. From Staten Island he went with his regiment in the campaign against Martinique in 1762. 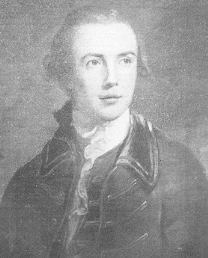 It was while he was on campaign in Martinique that he came down with "camp fever"; and, shortly thereafter, on 19th of March, 1762, at the age of 47, Alexander Murray died.